The way your office looks can make a huge difference in how well you are able to gain not only new agents, but clients. You already know that Real Estate is a competitive industry so do everything you can to get the upper hand and present your business in an inviting and professional way. Most business owners aren’t aware of how important the location of their office is to the success of the business. Keep in mind not only the aesthetic appearance of the building and the office space itself, but the accessibility as well. Is your office hard to get to? Is there enough parking for your clients and anyone else that needs to get to the building? Accessibility especially can make a huge difference in the success of your business because if people can't get to your office, then you won't be getting business. You only have one chance to impress your client. There is no such thing as a “second first impression,” so make yours count! You want your clients to walk into your office feeling confident that you will not only get the job done, but that you will do it well. You want your office to reflect that you are professional, but also, that you have some personality. Nobody wants to work with someone without a personality. Simple tactics like painting a wall a bright color, or having paintings can spruce up the look and feel of your office. Pro tip: Did you know that plants can help to increase happiness and productivity in an office? Try adding some plants in the entry or reception area. Having a built in reception desk reflects permanency. This may seem like a minor technicality, it is quite a big deal. Would you want to work with a company that you don’t believe will be there for long? Marble and granite are popular choices for these desktops, and can be quite pricy, but you will be instilling a sense of trust and security in your clients with this simple adjustment. Your clients are not just going to be spending time in your office, but in the reception area as well. All furniture in your office should be comfortable and accommodating to your guests. 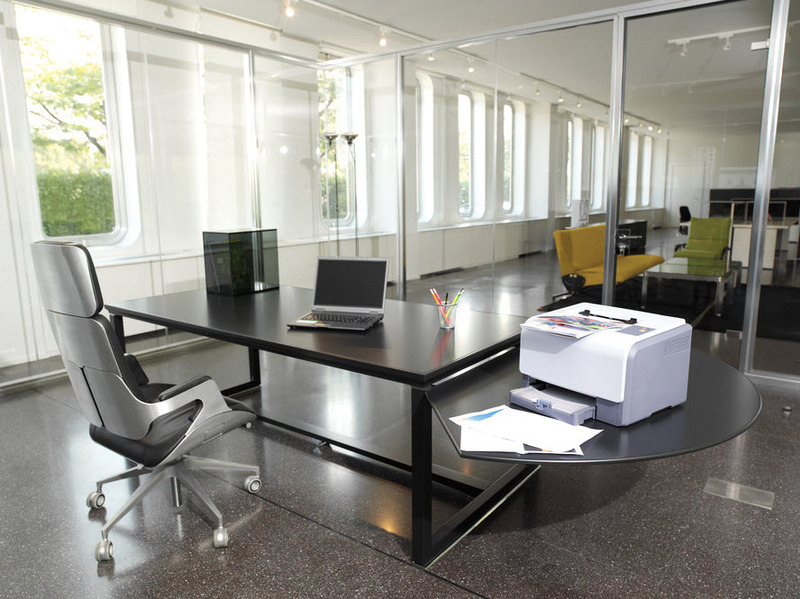 Typically commercial furniture is more durable than residential, so it will be worth the cost. Your conference room shouldn’t be too big, or too small. Make sure that you are able to accommodate about ten people comfortably. Additionally, your conference room should have up-to-date technology. This means having a screen that everyone at the table can see comfortably, as well as having a conference phone setup so that everyone in the room can hear the call as well as engage. Whether you are starting your own business from your home, or moving into a new corporate building, your real estate office says a lot about you and your brand. An inviting office not only helps attract and keep associates, helps productivity, but it also helps clients to feel more comfortable. Need tips on how to be a successful in real estate?